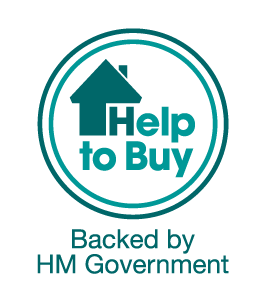 The Help to Buy: ISA is designed to help you save up to buy your first home. It is unique because the Government will boost your savings by 25%. For every £200 you save, receive a government bonus of £50. The minimum bonus you can claim is £400, which means you must have a minimum balance of £1,600 to claim, and the maximum is £3,000, based on the account’s maximum balance of £12,000. As a Help to Buy: ISA is a Cash ISA, you cannot pay into another cash ISA in the same tax year. For full details of the Scheme Rules, please visit the Government website, or ask for a copy in your local branch. Starting a Help to Buy ISA? When will I get the government bonus? Once you have found your house and the offer has been accepted, the transaction of the bonus can go ahead. The bonus will not go into your bank account, your solicitor will instead apply for it and the money will be used as your deposit and will be sent over to the seller along with any other money you have to use towards your deposit. How long is the scheme open for? The Help to Buy ISA will be available until 30th November 2019. This means if you opened your account before this date, then you can carry on using it, but you cannot open any new accounts on or after this date. Can I open an account with someone else? No, the scheme is only available to individuals. However, if you’re buying a house with a partner, and your partner is a first time buyer over the age is 16, they can also open up an account. This means you can each claim the bonus and join this money together to purchase your house. Where is the account available? Who can open a Help to Buy ISA account? You can open a Help to Buy ISA account if you’ve never owned a home before and are over the age of 16.